New Delhi: Prime Minister Narendra Modi will on Sunday visit West Bengal, Tripura and Manipur. He is scheduled to address rallies in these three states, while making a strong pitch for the Bharatiya Janata Party (BJP) candidates in the wake of upcoming Lok Sabha elections 2019. In West Bengal’s Cooch Behar, PM Modi will address a public gathering at 10:00 AM. The meeting will be held at the sprawling Rash Mela ground near the Cooch Behar Palace, where West Bengal Chief Minister, Mamata Banerjee is set to address a rally the next day. The Lok Sabha constituency of Cooch Behar will go the hustings along with the neighbouring Alipurduar seat on April 11, during the first phase of polling in the state. The seat will see a tough contest between Bharatiya Janata Party’s (BJP) Nishith Pramanik and Trinamool’s Paresh Chandra Adhikari. After Cooch Behar, the Prime Minister will proceed for Tripura and address an election rally at in Udaipur Girls’ School ground at 1:25 PM. Later in the day, the Prime Minister will address an election rally in Manipur’s Imphal at 4:10 PM. Notably, Manipur has two Lok Sabha seats – Inner Manipur and Outer Manipur. The voting for the Outer Manipur seat will be held on April 11 while Inner Manipur will go to polls on April 18. On Saturday, PM Narendra Modi addressed an election rally in Nanded district of Maharashtra. He attacked the Congress by likening it with ‘Titanic ship’, claiming that it is sinking day-by-day. 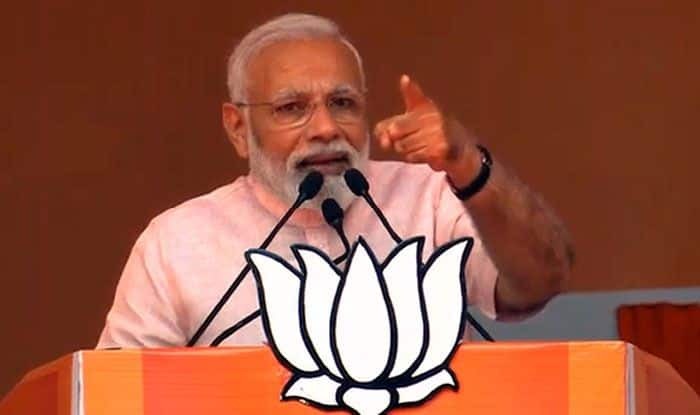 In another rally in Balod district of Chhattisgarh, PM Modi had alleged that the Congress and its allies are fighting upcoming general elections to give a free hand to terrorists whereas, the Bharatiya Janata Party (BJP) on the other hand wants to make the country and forces self-reliant. Lok Sabha Elections 2019 are scheduled to be held in seven phases. The counting of votes across country will be conducted on May 23. The results will be announced on the same day.